Gateway Auction Services Ltd. is focused on specialty livestock and general auctions in Alberta . The company is owned and operated by Gordon & Charlene Musgrove. Gordon attended the Auctioneering Institute of Canada in 2001 and received his Diploma in Auctioneering. He has worked for a number of companies as an auctioneer and/or ring man. Gordon and Charlene have worked with Schlenker Auctions for several years, buying a share of the company in 2010. 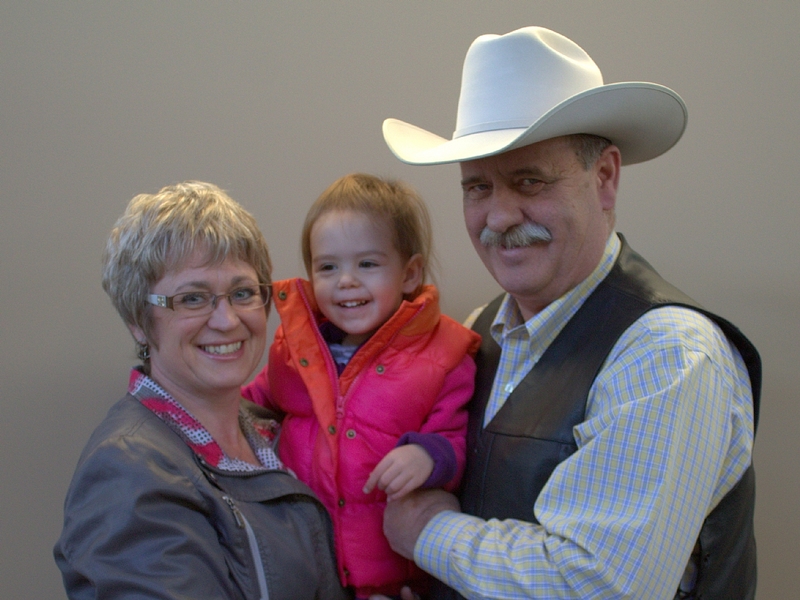 In addition to their auction involvement Gordon and Charlene are active in the ranching business - commercial herefords, registered longhorn’s, quarter horses and the occasional pig litter); over the years they have had small businesses - owned and operated a successful trucking company; jewellery and retail stores. As well as working hard to support the communities around them for their entire lives. They have both served as elected official’s(Charlene as Town Councillor 1995-1998, Gordon as County Councillor, 2001-2004). Gordon was President of the Alberta Chamber of Commerce in 1991 where he actively supported rural interests. Of particular note to the livestock industry was the 2003 BSE Border Beef Rally conceived and organized by Gordon and his team. The rally drew over 8000 people from across North America and garnered nationwide support and understanding of the critical issue. Together Gordon and Charlene lead the Gateway team and are passionate about building strong successful auctions. Our mission is to support & promote the specialty livestock industry throughout Alberta by producing high quality well attended sales.